In a comment I posted recently, I mentioned that I had met my wife when we were both juniors in high school and that we later (in 1974) were married and continue to torture each other to this very day as we approach our 42nd anniversary. One of our writers asked what was the “secret” to having stayed together for so long, and I hope I can give a reasonable response. It won’t be complete or in some cases helpful. Sometimes I think, when it comes to relationships, there is an awful lot of luck involved. So there is something about commitment and expectation that makes a big difference, I suspect. I wrote earlier about how Mary and I first met at a youth retreat and my first impressions of her were that she was strong-willed and looked terrific in the jeans and snug t-shirt she was wearing. For me, it was a powerful combination. I did have to wait around a bit, dating friends of hers, until she ditched a tenuous boyfriend, and I could swoop in. Yeah, I was the rebound guy. But for all intents and purposes from age 18 to age 21 when we got married, we were each other’s everything. She was extremely faithful, and I never found the wild oats that I guess I was supposed to sow. One time, I put our romance on hold for about two weeks to give me space to consider if I might have a vocation to the priesthood (I’m a recovering Catholic), but I happily realized that giving up my affection for women was not an acceptable compromise and our relationship intensified quickly. So, right. Longevity. I might be completely off on this, but I think the sexual freedom that young people have enjoyed over the past few of decades (we just missed that particular wave) has made them a little uncertain about the viability of a long-term commitment. The number of serious partners that young people now have between the ages of 20 and 40 seems to make them feel unsure about the possibility of a union that will last a lifetime. Believe me. I’d love to have a wonderful, guilt-free affair. Truth is though, I can’t even be unfaithful in my dreams. No, I’m serious. I have turned down the advances of beautiful women in my dreams and hated myself for it in the morning. I am a terrible liar, and I find myself feeling guilty about things that I have only thought about doing. It has not been easy. We pretty much lost ourselves in the 25 years we dedicated to child rearing. Our children continue to mean everything to us and continue to challenge us. It turns out that being the parents of young adults is just as tough as dealing with the terrible twos. Both of us worked in demanding jobs that we loved. I cared deeply about becoming the kind of teacher that could, on a good day, change lives. As hard as I worked, Mary worked harder. She spent incredibly long hours as a teacher, principal, and district administrator. Her workdays seemed to have no end. All of that took a toll on us as a couple. And while we certainly went through periods of time where we felt more like roommates than lovers, we persevered, believing that eventually the bond we had initially enjoyed would return. In retirement, we are now healing. We’ve identified some of the dynamics that have continually driven us apart and are now much more aware of each other, appreciative of each other, loving toward each other. We still have work to do, but now we feel like we have the space and time to make things special again. It doesn’t hurt that she still looks great in jeans and a tight t-shirt (yes, I really am that shallow). I do believe that relationships can last. I’m not sure I’ve done the subject justice. Maybe our combined stories will weave the tapestry that creates an answer that satisfies. A fraction of the total! 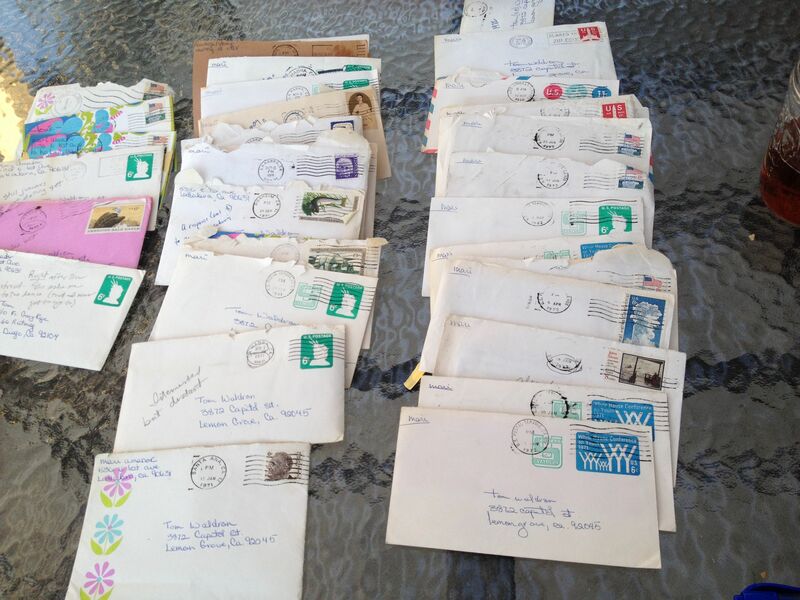 When I delved into a long-forgotten box of cards and letters that my wife and I had written to each other when we were courting from 1970 to 1974, I had no idea what I was getting into. We met as high school juniors but did not begin dating until the fall of the year we graduated. From October of ’71 to May of ’74 when we were married, the letters flew hot and heavy between my home in San Diego and hers in Orange County. There is a sort of loveliness in re-living a time when all communication was not instantaneous, before texting and talking were considered synonymous. We dated long distance for a little over two years. I began to get serious about the relationship when the price of gas reached 53 cents per gallon. But I couldn’t. As I picked up the first few randomly, I felt myself thrust back in time and the immediacy, the honesty, the humor of the letters hooked me. I had decided I would only read her letters to me—those were MY letters. The others belonged to her, and she could do what she wanted with them. Randomness was not satisfying though. I found myself seeking a narrative, the story and sequence of how we had fallen in love. The earliest letters sported 6-cent stamps, but more importantly they were dated with legible postmarks, so I began to arrange the letters chronologically. All 187 letters. I started from the very beginning, when we were just friends who had been thrown together by a retreat we had both attended. That friendship continued off and on until October of 1971 when I apparently more openly declared my interest in her because the tenor of the letters changed dramatically. We would frequently write twice weekly, catching each other up on work and school and making plans for every weekend when I would drive up to spend time with her. The first letter of every week seemed to have a certain glow about it as she would recount the happiness we had enjoyed in our limited hours together. She seemed anxious to make sure I understood everything she had said or done over the weekend and we both (I peeked at a few of the letters I wrote also) were frequently apologizing for any moodiness or distraction we might have exhibited. I have yet to finish reading all of the letters and wrap my mind fully around that time of my life. However, what I have read filled me with a sense of renewal, a sense that there was really no reason we could not recapture that liveliness and passion. I felt a little sad that we had stopped writing to each other twice a week. I sense restarting that habit could make a world of difference. Forty-one years later it would be easy to describe these feelings as naïve, but I don’t feel that way at all. It’s like looking at a slightly yellowed portrait of what love is like before it has endured the bruises and scars that time eventually brings. It is a portrait that I’m happy to have come across. It is a portrait worth cherishing. It happened 30 some years ago and it was the most romantic thing I had ever seen or would ever see again. There are times we get to be witnesses to something extraordinary happening in the lives of others without knowing anything that came before and no idea what their next chapter might be. This was one of those times. I was standing in the outside waiting area of the Amtrak train station in San Diego, trying to look sad that my wife and young son were just minutes away from leaving me behind for a visit to her parents that I somehow had weaseled out of. It was Friday evening and my head was full of just what kind of trouble I might be able to get into in the 40 hours of unsupervised time that stretched before me. I was growing impatient when it became clear that departure was imminent as the assistant conductors began removing stepping stools and generally looking like they were ready to go. But out of the corner of my eye, I caught a flurry of motion that turned out to be a young man in a full-on sprint nearing the south end of the north-bound train. The guy had no luggage and no apparent ticket but seemed fully intent on catching this train before it left. He leapt onto the steps of the car in front of me and engaged in an animated conversation with the attendant there who looked like he was trying to insist that the guy get off the train, that they were just about ready to go. The young man pleaded, “Just give me two minutes, man. Please!” The attendant tried to say no once again, but the guy was so passionate and so sincere that finally he waved him on to the train where he disappeared from might sight. True to his word, the young man reappeared shortly, this time with his hands full. While on the train, he had swept up a lovely young woman wearing a long white dress whose arms were now encircling his neck as he prepared to sweep her off the train. Their faces literally beamed with joy, and the guy stopped at the top of the steps to tell the attendant, “I really owe you one!” The attendant dutifully waved them off the train but smiled along with them. 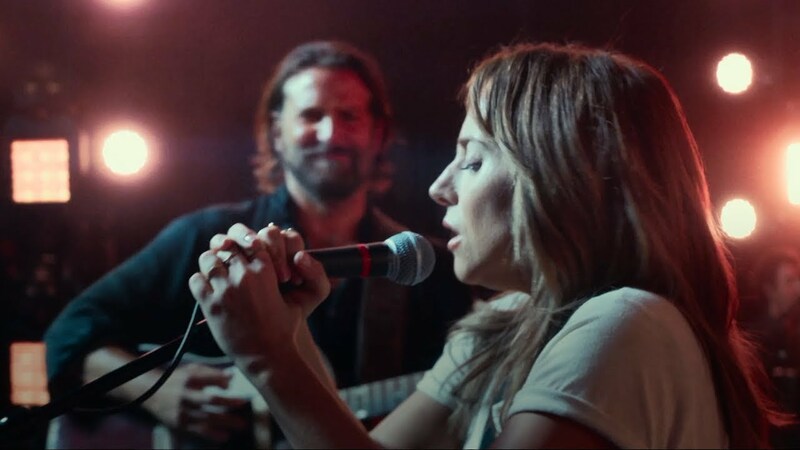 I don’t think the audience that I was a part of gave them a round of applause, but all of us were likewise united in the couple’s happiness as the young man refused to put her down and carried her off to….well, to wherever. If I had written this as the end of a piece of fiction, it could rightfully be criticized as “hopelessly romantic,” “cheesy,” and/or “totally unrealistic.” But it happened—Just. Like. That.